No. 7 Penn State women’s volleyball defeated Iowa 3-0 (25-18, 25-20, 25-17) Saturday night at Carver-Hawkeye Arena. Jonni Parker led the Nittany Lions with a match-high 13 kills, while Bryanna Weiskircher tallied a double-double with 38 assists and 12 digs. She also added four kills and four blocks in the victory, which snapped Penn State’s two-match losing streak. Kaitlyn Hord was tremendous all night long in front of 2,131 fans in Iowa City, matching her career high with eight blocks and connecting on nine of her 15 swings (.533). Nia Reed and Serena Gray finished with eight kills apiece. Freshman outside hitter Allyson Cathey, who celebrated her birthday Saturday, had four kills off the bench. Taylor Leath struggled to get much going offensively versus the Hawkeyes, but she was her usual self in the passing game, tallying eight digs, two assists, and two blocks. Kendall White turned in another strong outing with a match-high 17 digs and four assists. Jenna Hampton and Gabby Blossom combined for eight digs. Penn State hit .313 as a team and outblocked the Hawkeyes 13-4. Weiskircher found Parker for the final kill of the match. A night after stumbling down the stretch versus Nebraska, the outcome was never in doubt Saturday thanks to their standout performances. 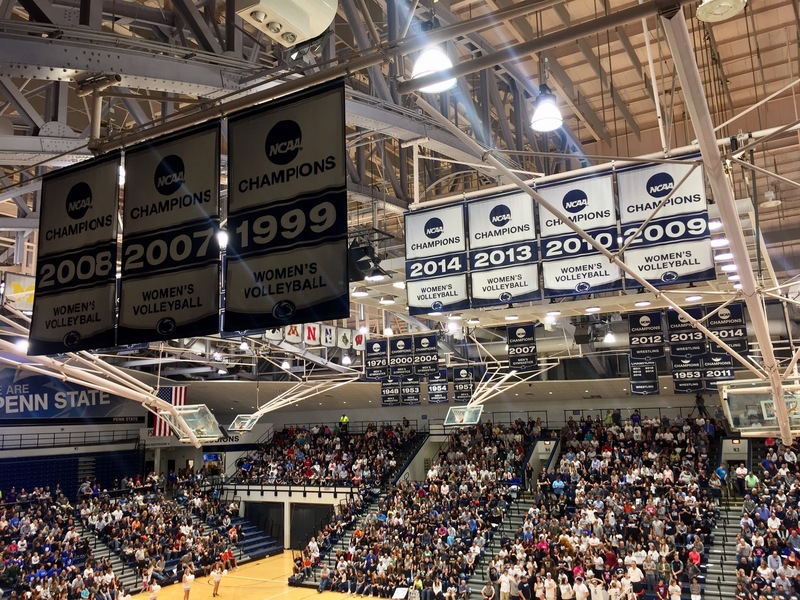 The Nittany Lions (19-5, 10-4 Big Ten) head to Evanston Friday for an 8 p.m. match versus Northwestern before traveling to Illinois the following day.